Post Inauguration: What Do We Do Next? The new reality is here. Never has the country been so divided, so bitter, and so tense over what will happen next. Those who opposed Trump, who felt he was the most awful candidate ever, are in despair. Those who supported Trump feel that new opportunities for the country are about to happen. Both sides are completely dismissive of their opponents’ feelings. Liberals, sensing a vast difference between Trump and any previous president, feel the future of the country is in serious danger. Conservatives do not understand why liberals cannot simply “get over it,” and accept the new president. Never in my lifetime have opposing political sides looked at each other with such hatred, with such suspicion. What do we do next? Trump supporters and spokespeople are feeling triumphant. They believe their victory, not just the presidency but holding both houses of congress, gives them a mandate to ignore the concerns of Democrats, liberals, and their constituencies. They see protests against Trump as inappropriate, as just more political nonsense inspired by a biased media. When they hear concerns about prejudice against minorities, against the LGBTQ community, against immigrants; they see these as invented issues, not as genuine fears. They see concerns over Trump’s ties to Putin and Russia as the result of fake news, or of reports by agencies whose integrity they question. In their moment of triumph they could care less about what the other half of the country thinks. Because of all of this, Trump supporters and conservatives are detached from reality. But so are liberals and Clinton supporters. Democrats and liberals are quick to dismiss Trump voters as racist, as fools who were just suckered by a con artist. They will use the word “deplorable” when describing the other side. They do not understand how Trump supporters can ignore the facts of his lies, of his denial of provable facts, his easy dismissal of the press, or his constant tweets that degrade anyone doing something he does not like. They see support for Trump as proof of either someone’s evilness or stupidity. Their solution is to organize protests, to take the same approach Republicans did when Obama took office and automatically condemn anything Trump says or does. But the biggest mistake the left makes is to think their “logical” arguments will somehow convince those across the aisle to change their thinking. It will not. Trump supporters are intoxicated by victory and are convinced they will now steer the country in a better direction. Trump opposers are determined to protest and resist every move the new administration and the Republican led congress makes. In the end, this disparity will only hurt our country even more. I must be blunt. I am absolutely NOT a Trump supporter, but I am convinced there needs to be another way forward other than protests and resistance that mirrors what Republicans did from the beginning of the Obama administration. Do not get me wrong. If there are attempts to limit basic freedoms, such as freedom of the press, we must protest. If there are oppressive actions taken against various groups of citizens, we must protest and resist. My wife and I have already decided that if the new administration requires Muslim citizens to register, we will register to support our Muslim friends. But protests and resistance should occur if/when oppressive actions occur and be aimed specifically at the public figures or agencies enacting them and NOT at Trump voters in general. It is simply wrong to think that protests and general words of condemnation are the proactive actions that will change the direction of our country. No, the only way to effectively change our country is to break the ideological bubbles in which most of us exist. For liberals, that means reaching out to those with whom you disagree, not to argue or condemn, but to learn to understand why they feel like they do. It is a mistake to begin by classifying all Trump voters as “deplorable.” Yes, there is a significant chunk of Trump supporters who bought into his bigoted positions or those he inspired in other groups, but the election did not turn on that group. No, the election turned on a specific group of blue collar voters, particularly in Pennsylvania, Ohio, Michigan, and Wisconsin; many of whom supported Obama but felt abandoned by the Clinton campaign. Their concerns were over the loss of jobs needed to keep them in the middle class and the economy of their communities. We need to be duplicating the work of Van Jones, the liberal CNN commentator who has been interviewing and reaching out to people with whom he disagrees. As an example, here is an interview he did with a family in Gettysburg, PA before the election to understand why they were supporting Trump. The key element is the respect the Trump voters felt from Van Jones, and their admission they learned something from the exchange. An even more informative interview is this one done with a family in Ohio, who voted twice for Obama. These interviews illustrate the tipping point in our country’s electorate. The way to really change the direction of our country is to form relationships with those folks who see things different from us, to listen and understand everyone’s concerns. These meetings should not be done with the agenda of pushing an ideological perspective, or to get agreement on policy, but to listen, learn and hopefully create enough of a relationship so that they will in turn listen and learn about your fears and concerns. You might also ask why conservatives will even bother with this? Certainly some will not. Some will be so immersed in the triumphalism of the moment that they will ignore the need to think beyond the present. They would then be foolish. For if Trump supporters are serious about change that will benefit everyone in the country, they must stop dismissing the concerns of other Americans. They must stop denying that the increase in hate crimes in the last few months is real. They must learn that politicians and politics are all transient. I know, however, there is a significant segment of Americans, that stretches across ideological boundaries who are united by one thing – we want a better country. Most Americans are good hearted, caring people struggling to make life work. Their perspectives are just different. We must start to seek each other out and find ways of coming together. This is hard, but it is what we must do. I am determined to do this. Join me. Let the change in our country begin. It has now been almost 3 weeks since the United Nations passed resolution 2334 because the United States did not exercise its veto. The resolution, the United States decision not to veto it, and the reaction in the aftermath, are all filled with problems. The whole sequence has done nothing to advance the possibility of peace. Rather, it has inflamed the attitudes of players on all sides, and made confrontation with sordid truths even more difficult than before. First, by focusing on the settlements in yet one more UN resolution, this reinforces the false notion that the settlements are the cause of the conflict. I am not a supporter of most of the West Bank settlements, but they are not the cause of the conflict. Rather, they are a hindrance to progress in getting meaningful talks started. The causes of this conflict originate in many events and attitudes dating back to the late 19th century, and are filled with complications, nuances, and realities that most parties refuse to acknowledge anymore. Second, a resolution that lumps development in Jerusalem, particularly the Old City, in the same category as the illegal outpost settlements, obscures the simple truth that Jews (Israel) have a legitimate claim to Jerusalem. It ignores the truth that under Jordanian control (1948 to 1967) Jews were denied access to the Old City and the Jewish quarter of the Jerusalem was destroyed. It is only under Israeli administration that all religions have been granted access to their holy sites. The final problem with the resolution is strategic. The timing is horrific. On the eve of a new administration that will take a very different approach, the controversy of abstaining from the vote instead of vetoing, it destroys the ability of the left to voice credible opposition to the settlements in the future. Why? Because it has shifted the focus from real issues to the conflict between Obama and Netanyahu. Because it has created inflamed rhetoric on the right accusing Obama of anti-Semitism despite the fact that his administration has provided record setting military aid to and cooperation with Israel. There are legitimate discussions to be had about various strategic moves the Obama administration has made in the Middle East; i.e. some real mistakes have been made; but I have never doubted that his and Secretary Clinton’s or Secretary Kerry’s intentions have been for the benefit of Israel and not to their detriment. This is further demonstrated by Obama’s opposition to the BDS movement that attempts to delegitimize Israel’s very existence. First, it is necessary to read the resolution. You can do so through this link: http://www.un.org/webcast/pdfs/SRES2334-2016.pdf Unlike numerous other UN resolutions condemning Israeli actions, it also condemns terrorist acts by the Palestinians. It makes clear that both are obstacles to peace. It asserts that the status quo is not sustainable. That is correct. If the 2 state solution will not happen, then the alternative is a one state solution. Does Israel really want that? Demographically this poses a problem for Israel to maintain a Jewish state. The current Jewish population from the Mediterranean to the Jordan River is about 6.2 million. The current Arab population is around 4.2 to 4.5 million – and that does not include Gaza. A higher birth rate among the Arabs would make a Jewish state unsustainable in a couple of generations. Further, unless Israel would grant full citizenship rights to the Palestinians, it will be forced to abandon democratic values and use their military in oppressive ways to control a huge proportion of the population, likely limiting them to very restricted areas and resources. I hate to use the word apartheid, but a non democratic state denying basic rights and citizenship to Palestinians would start to look like that. Let’s also look at the other side of this equation. Some on the left among Palestinians and Jews are pushing for a one state solution. But the hatred of Jews by Palestinian Arabs is way too intense to make this a workable scenario. But the overriding truth about the resolution is that the settlements are a problem. Yes, those that are in areas likely to be part of Israel in a 2 state arrangement (we have a map of what that might look like from prior negotiations) are not either the cause of the conflict or prevent a solution. Rather, settlements being established in the middle of private Palestinian land, in areas that are clearly designated by the Oslo accords to remain Palestinian, are a smack in the face to a population facing major problems. The inability of Palestinians to simply commute to work, to get medical care, because of the location of certain settlements is an obstacle to even starting meaningful negotiations. There are many settlements that began as illegally established outposts (according to Israeli law) and there is currently a bill in the Knesset, introduced by the most right wing elements, that is trying post facto, to legalize these settlements. Someone please explain to me how any of this contributes to the peace process. This has reduced the chance that those who care about Israel across the political spectrum can even dialogue with each other because of the inflammation of rhetoric. The most obvious example is the hateful rhetoric by the right against Obama, his administration, and anyone who dares to oppose any position of the Israeli government. This reinforces the false notion that opposition to an Israeli policy or opposition to an Israeli leader – in this case Netanyahu – is anti-Semitic. It is not. The blind support for anything Israel does refuses to acknowledge some severe problems. One is the increasing movement in Israel towards a right wing theocracy. This is evident not just by the power of the most religious/conservative groups in the Knesset regarding settlement policies, but in recent legislation being considered outlawing any worship practice other than orthodox at the Western Wall. A second result is it adds to the fictional picture of Netanyahu as a victim of an anti-Israel American administration. Americans, especially on the right, love Netanyahu. Why? Well, he grew up in Cheltenham, PA, was educated in America; speaks English like an American, so he feels like one of us. This means we overlook his flaws, which are deep. First, he is once again under investigation for corruption, being questioned recently by Israeli police. His Likud supporters in the Knesset have introduced a bill putting the Prime Minister’s office above criminal investigation. This is the third time Netanyahu has come under investigation for illegal activities. Further, unlike Ariel Sharon, a right wing military man who as prime minister understood the need to moderate for the good of the whole country, Netanyahu pays lip service to causes such as peace and religious plurality, but in his actions caters to the most extreme elements in Israel. 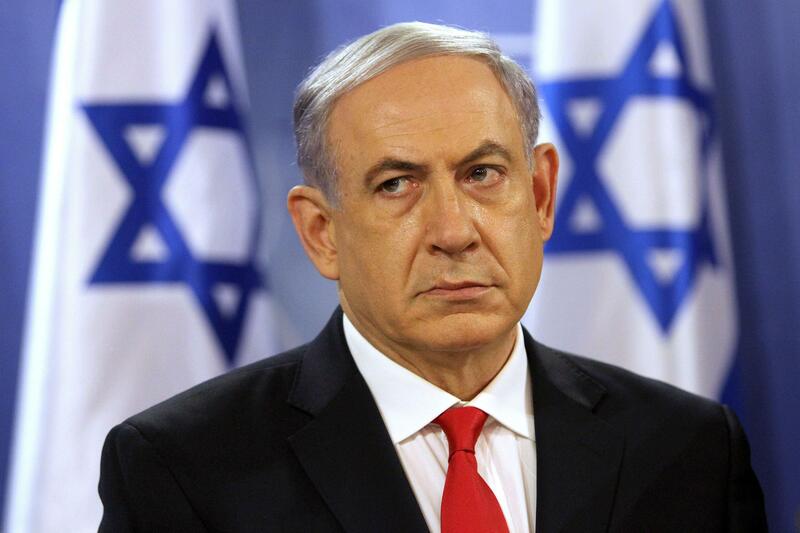 His actions indicate his prime interest is keeping his power, not the betterment of Israel. It is a speech that for the most part should have been given 4 years ago, as a vision and plan for working with Israel to move towards a 2 state solution, and not as an explanation for a stupid decision. In the hateful, polarized atmosphere exacerbated by the passing of UN resolution 2334, no one is paying any attention to some of the cold, hard truths Kerry outlines. He is being cast as anti Israel and even anti-Semitic. Read the speech. He is not anti-Israel or anti-Semitic.